A couple of days ago Flipkart has teased the launch of a new Asus smartphone in India. 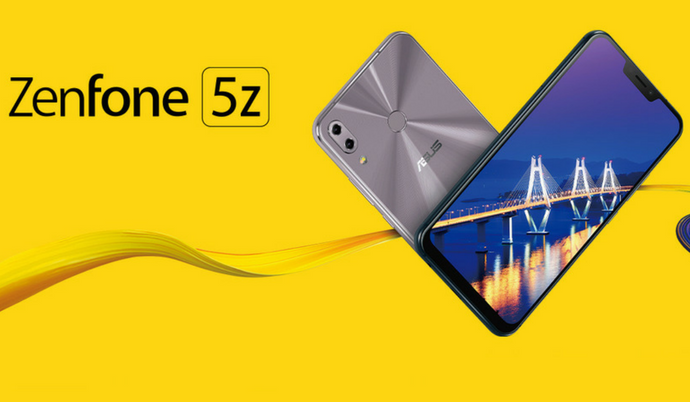 As expected, the company is launching the Asus Zenfone 5z in the Indian market, but the launch event will be held on July 4th. The pricing and availability details will be revealed on the launch day. Continuing the partnership with Flipkart, the upcoming Zenfone 5z will also be exclusively sold via Flipkart.com. For the Zenfone Max Pro M1, the company has also partnered with Flipkart. The Zenfone 5z along with Zenfone 5 was first unveiled at the MWC 2018 in February. It is also one of the first Android flagship devices to embrace the notch design. Then, the company also announced the Animoji-clone called Zenmoji. It comes coupled with 10nm Qualcomm Snapdragon 845 Mobile Platform coupled with Kryo 385 CPU and Adreno 630 GPU. With the Zenfone 5 series, the company also announced several AI-based features like auto scene detection and others. With the 19:9 notch display, the device is said to offer 90% screen-to-body ratio. However, the 6.2-inch Full HD+ display uses the IPS panel instead of AMOLED panel. While the company announced the 8GB RAM variants, we aren’t sure whether it will be made available in India or not. Talking about the camera department, the Zenfone 5z sports 12MP + 8MP dual rear cameras with EIS and an 8MP front-facing camera with portrait mode. It comes backed by a 3,000mAh battery and also sports stereo speakers. The device will be running on Android 8.0 Oreo-based Zen UI 5.0 out of the box. Stay tuned on PhoneRadar for more details! The post Asus Zenfone 5Z Powered by Snapdragon 845 SoC Launching in India on July 4th appeared first on PhoneRadar.